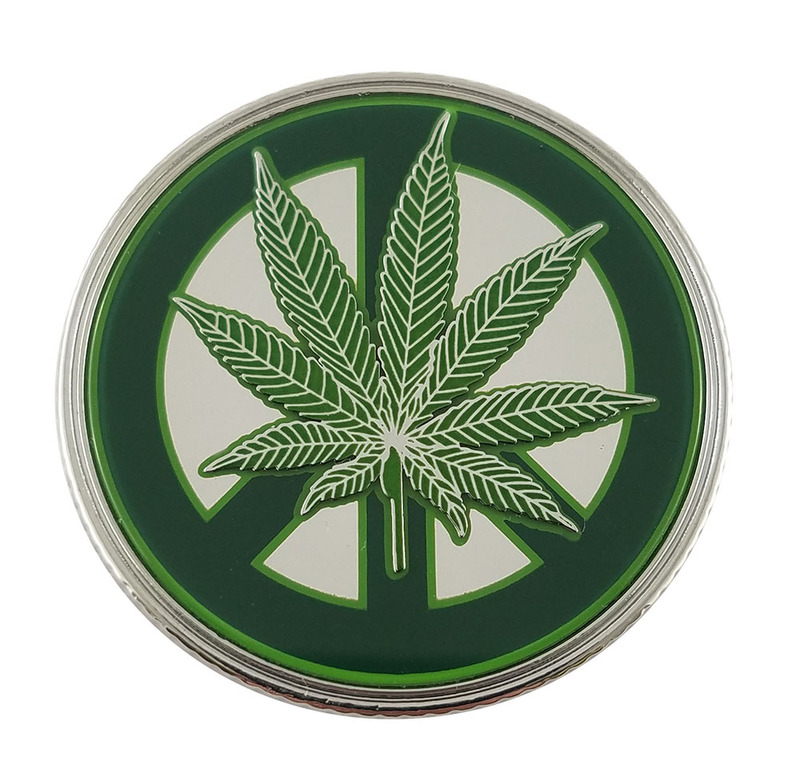 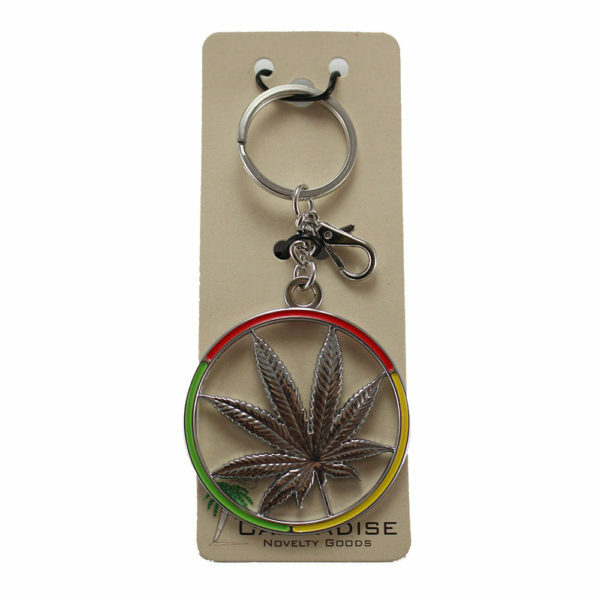 It will be hard to lose your keys when they are secured to this 2 inch diameter leaf keychain! 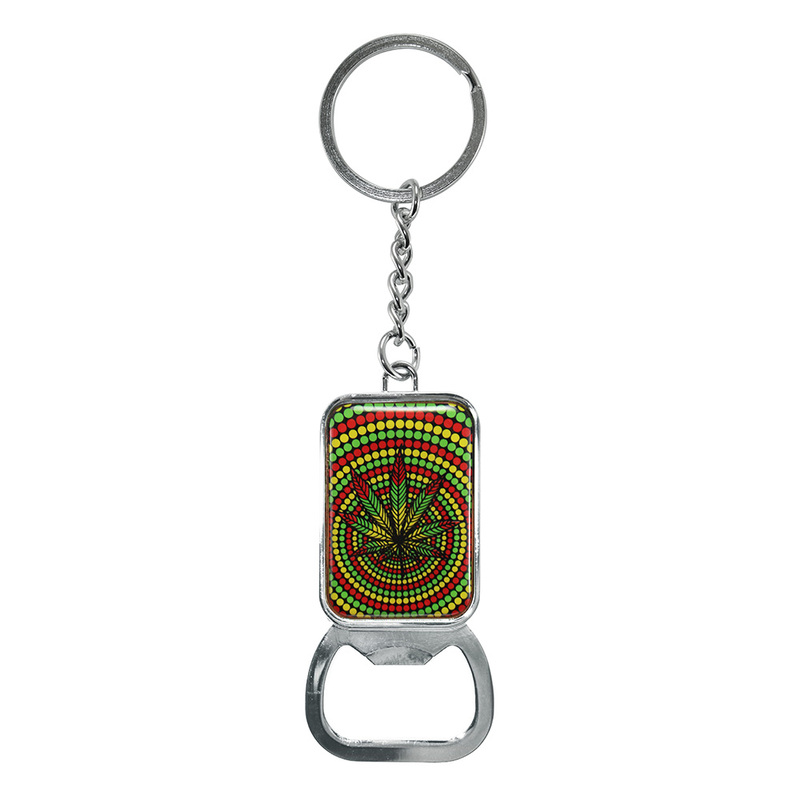 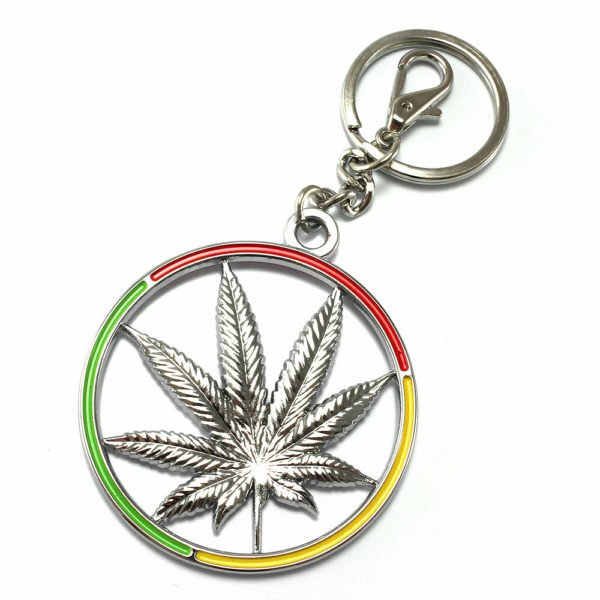 Made from high quality bright chrome plated metal, this keychain features a detailed leaf in the center surrounded by rasta flag colors. Also includes a lobster claw attachment.